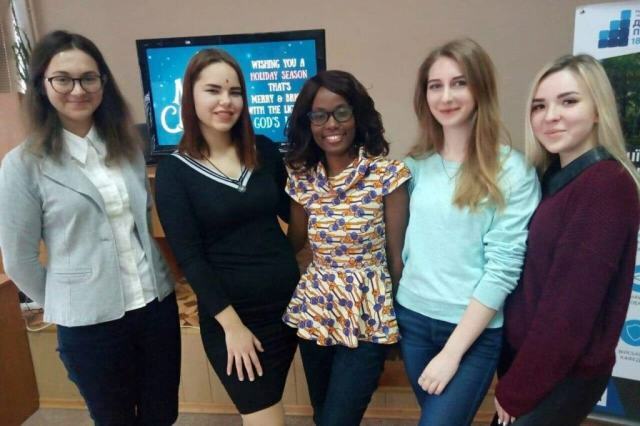 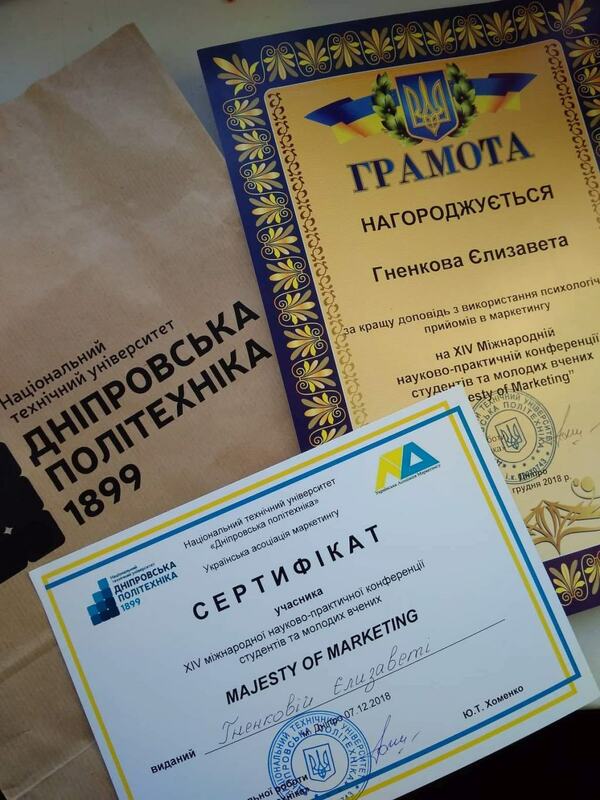 Students specializing in Marketing Kumacher Divina Holali (Master) and Genkova Elizaveta (bachelor) took part in the XIV International Scientific and Practical Conference of Students and Young Scientists "Majesty of Marketing" in the city of Dnipro. 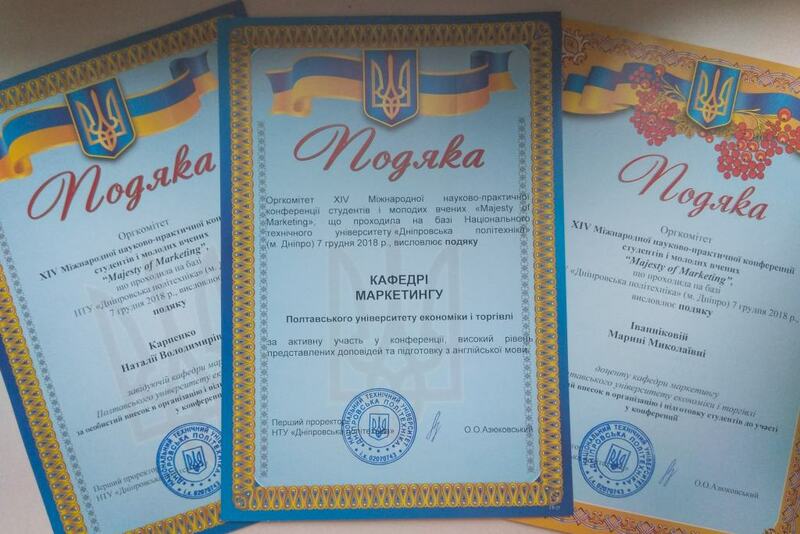 Kumakor Divina was awarded the diploma of the 1st degree, and Genkova Elizaveta - "For the best report on the use of psychological techniques in marketing." 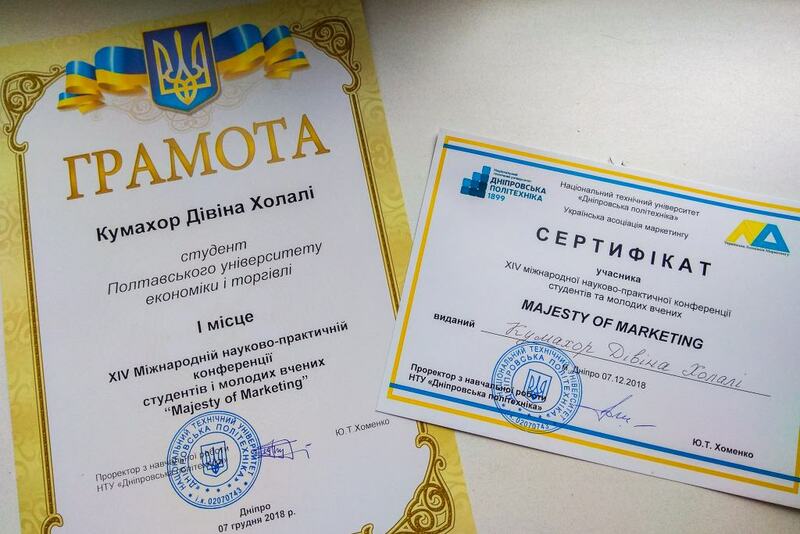 They were awarded with thanks to the department of marketing for active participation in the conference, high level of presentations and preparation in English. 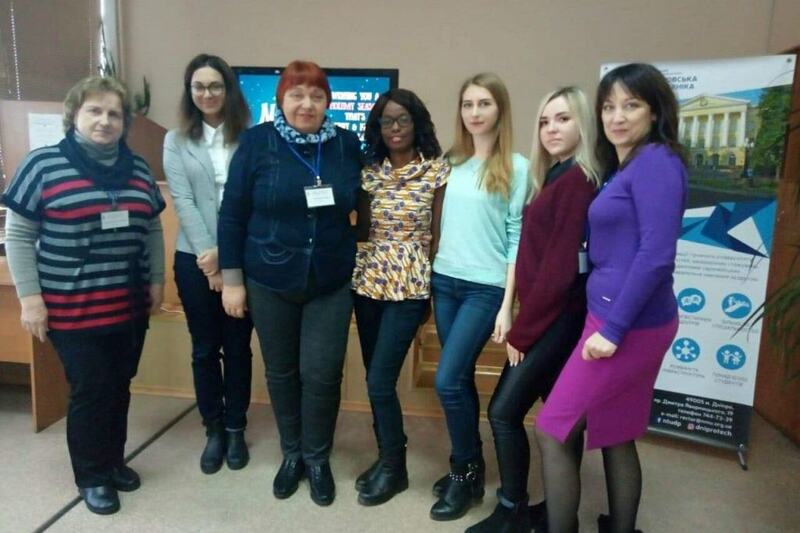 The organizers of the conference awarded the Department of Marketing with gratitude for their active participation in the conference, the high level of presentations and preparation in English.